Since succeeding Hall of Famer Terry Long as Florida State’s head men’s and women’s track & field coach prior to the 2004 season, Bob Braman has seen the Seminoles ascend to a position of national prominence, highlighted by a pair of NCAA Outdoor Championships in 2006 and 2008. Entering the 2015-16 season, the FSU men have finished fourth or better seven times at the last 11 NCAA Outdoor Championships and fifth or better six times at the last nine NCAA Indoor Championships. Simply put, the Seminoles are synonymous with success on the national stage. Florida State’s trophy case provides substantial evidence. In addition to the two NCAA Championships – among 12 top-four finishing trophies – the U.S. Track & Field and Cross Country Coaches Association (USTFCCCA) bestowed the Seminoles with the John McDonnell Award for the 2010-11 and 2011-12 seasons. Emblematic of comprehensive excellence, the award goes to the program which posts the highest average NCAA Championships finish from the cross country, indoor and outdoor seasons. The FSU men placed in the top five in the final McDonnell Award tabulations for five consecutive years. Not to be outdone, the Florida State women finished sixth or higher for five consecutive years in the competition for the Terry Crawford Award, signifying comprehensive excellence on the women’s side. The Seminole women are one of only two programs which can make that claim. Over the course of Braman’s first 12 years, the Seminole men have accepted nine Atlantic Coast Conference indoor and 10 conference outdoor championship trophies, including a sweep of the 2014 titles. In 24 combined team championship opportunities, FSU’s men have 19 ACC championships and five runner-up finishes. The Seminole men celebrated their 10th ACC Outdoor title at home on Mike Long Track last May. The Florida State women have been building their own impressive ACC resume, capped by the 2014 sweep of indoor and outdoor team titles to earn the program’s second Triple Crown; a feat they first achieved in 2009 under Braman’s watch. Beyond the team success, the Seminoles have amassed 222 All-American honors between the track & field and cross country programs, producing 38 national champions on the track. In 2011, Ngoni Makusha claimed The Bowerman Award – college track & field’s version of the Heisman Trophy – after claiming NCAA titles in the 100 (he set the collegiate record, 9.89), long jump and 4×100 relay. Much of FSU’s success can be traced to fielding balanced programs on the track, with national caliber competitors filling the rosters in the sprints, jumps, throws and distance events; a testament to Braman’s philosophy of building a complete program. FSU’s excellence has allowed Braman to stockpile a total of 36 national, regional and conference Coach of the Year honors. Through the relentless efforts of the coaching staff under his direction, the Seminole brand extends well beyond the borders. Twelve student-athletes who competed collegiately for the Seminoles participated in the 2012 London Olympics. It marked the second consecutive Summer Games the `Noles were represented by a dozen Olympians. Braman’s Florida State men’s cross country program has reached unprecedented heights, advancing to the NCAA Championships 12 times, highlighted by a runner-up finish in 2010 and a fifth-place showing in 2012. To add perspective to those accomplishments, prior to his arrival the Seminoles had just one NCAA Championship appearance and produced two All-Americans. Six Seminole men have earned All-American honors on his watch, including five since 2010. Not surprisingly, the Seminoles have been one of the premier programs in the ACC over the course of Braman’s tenure. Prior to his arrival in 2000, the FSU men’s cross country team had not finished higher than seventh in nine ACC Championship meets. Braman matched that all-time best finish in his first season and hasn’t looked back. The Noles have 13 top-five finishes in 15 seasons, highlighted by the program’s first ACC title in 2010. FSU has five runner-up finishes in that stretch. The `Noles won back-to-back NCAA South Region titles in 2011 and 2012, the second of which came at Apalachee Regional Park, FSU’s home course, which Braman was instrumental in developing as part of a joint venture between Leon County, the Gulf Winds Track Club and the university. The South Region Championships will return to FSU’s home course in 2014. In addition to his work with the men, Braman also laid the foundation for the women’s cross country program, which he directed from 2000-2006. He guided the women to the first NCAA Championship appearances (2002, 2003 and 2006) in school history. 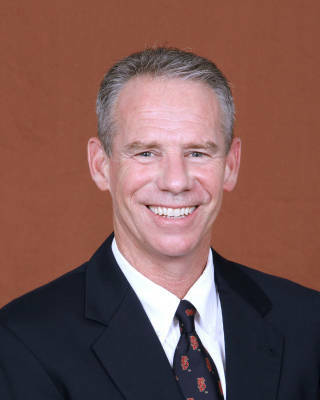 Prior to his arrival in Tallahassee, Braman enjoyed 17 years of national success at the University of South Florida, where he began his coaching career as the men’s cross country assistant in 1983. He was promoted to head cross country coach in 1985 and launched the women’s program in 1986. When USF began its track program in 1991, Braman assumed head coaching duties for that sport as well. A Tampa, Fla. native, Braman graduated from the University of Florida in 1980 with a degree in broadcasting. He was a three-year captain of the Florida cross country team and earned All-SEC honors in cross country (1979-80) and indoor track (1979), while setting the school record in the indoor three-mile run. He is married to the former Debbie Turner. They have two sons, Steven and Tyler, who are Florida State graduates.